PHOENIX, AZ — From the bogus Social Security calls to the fake IRS lady, robocalls are reaching consumer's phones at an increasing rate. 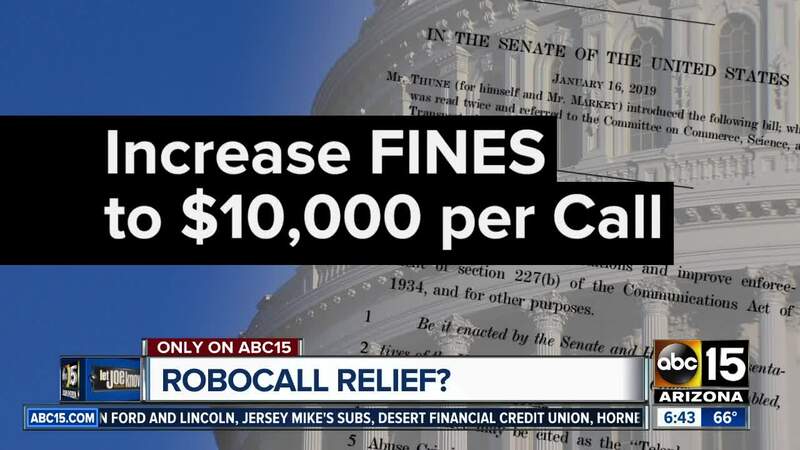 Nearly 48 billion robocalls calls were placed in 2018 according to the Arizona Attorney General Mark Brnovich's Office. Now Brnovich and every other AG in the country is pushing Congress to pass a bill expected to help curb at least some of those calls. to abate the rapid proliferation of these illegal and unwanted robocalls." Arizona Senator Kyrsten Sinema (D) co-sponsored the bi-partisan legislation. The bill is now awaiting a full vote of the Senate.